Qantas will look to order Boeing’s 787-9, the larger long-range version of the Dreamliner, once purchase options become available in 2016, while Jetstar will stick with the original 787-8 model. 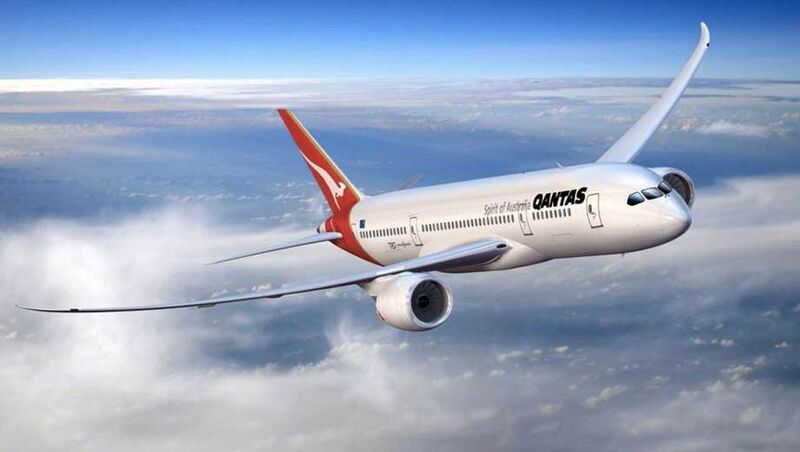 But the Flying Kangaroo’s 787s will be used only on international routes until the mid-2020s, when Qantas will consider buying further Dreamliners for domestic use. Qantas Group CEO Alan Joyce confirmed the split fleet at a media briefing in Seattle, ahead of this week’s delivery of the first Jetstar 787. Jetstar will be flying 14 Boeing 787-8s by the end of 2015 and will consider more when the Qantas/Jetstar options for up to 50 additional 787s become available starting mid-2017 through to mid-2026. 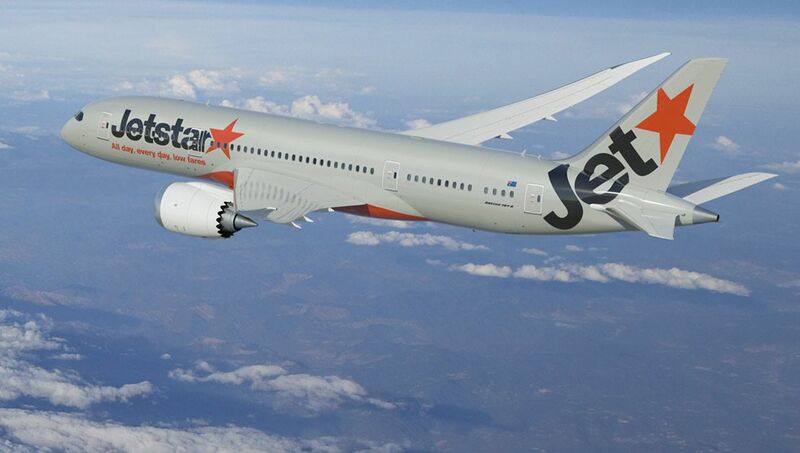 “There’s potential growth from the 14 but we’d like to keep the 787-8” explained Jayne Hrdlicka, Jetstar Group CEO. “We will discover through the process of introducing the 787 the economics that will make routes we haven’t been able to fly now viable” Hrdlicka said. Meanwhile, Qantas will divvy up their Dreamliner options to take on the stretched 787-9, which can carry more passengers over longer distances. “The 787-9 is a long-range aircraft which can fly to the US, which can fly to Dallas (and) just about anywhere in Asia, and it's ideal to open up a range of new routes for the Qantas network than we’ve seen before” Alan Joyce told Australian Business Traveller. "They’ll also replace some of the older aircraft that we have, like the older 747s and the A330-300s." Joyce also confirmed that Qantas’ international 787s would sport the airline’s new flat bed 'business suite', set to debut late next year on its Airbus A330s, along with premium economy and new economy seats. However, Joyce said that the 787 wouldn’t be seen on Qantas domestic routes until well into the next decade as the airline moved to reduce its fleet to just two aircraft types: the Airbus A330 and Boeing 737-800. “There are no plans to operate 787s domestically” Joyce told Australian Business Traveller. Joyce also reiterated that any decision to purchase Boeing 787s for Qantas’ international arm hinged on the airline returning the profitability, which is expected in the 2015-2016 financial year. Australian Business Traveller is visiting Seattle as a guest of Qantas and Boeing, and will be on tomorrow's delivery flight of the first Jetstar Boeing 787. Nothing worse that waiting in Hong Kong or Singapore for a Qantas flight home on a A330-300 and ending up with a 767 from 1989! Doesnt happen with any other airline! 787's going to Jetstar first just shows how wide of the mark their think is and that they do not understand the Qantas business model at all. Are you seriously suggesting that Qantas is the only airline to do last minute changes of aircrafts? I've never had an equipment change on any other airline I've flown with either. I've never personally experienced this, and from taking a look at the actual history for the past month - not one 767 was used on any QF service ex Singapore or Hong Kong. Only A330, A380 or B747. ....and prey do tell, when the last time an A330 was subbed from SIN or HKG with a 767? And then if you can, when that happened, the previous time it happened? Hmmm, most of the JQ 330-200s are 6 or 7 years old - if they are handed over to QF and there is no domestic fleet replacement until mid 2020s won't they be a little long in the tooth if the name of the game is young fleet for lower maintenance costs? And has the question of problematic turn around times for domestic use been addressed? I think the turn around time is something Qantas will just have to deal with, it will always take a long time to turn around an aircraft of that size. I don't think they will axe the idea short-hop domestic A330s because of it, they will just have to run with it. I would expect Cityflyer runs to be slotted between longer domestic runs in terms of the operating diagrams to ease out the kinks created by the longer turnarounds, and they might try to optimise the cargo loads, but the A330 turnaround probably isn't going to ever match the B767s' astonishing 45-minute turnaround (just 5 minutes more than the B737!). "Any decision ... Is hinged on the airline (QF international) returning to profitability ... We won't be needing to make a decision until 2016." Just another PR exercise from Joyce. Until the decision is made in 2016 and implemented thereafter, despite being a QF platinum member and a QF shareholder, my Asian trips will still be with CX and SQ. It has been clear to me for a long time that Joyce is more suited to look after a low cost airline. I hope that there will be a change in QF's leadership team by the time we get to 2016. I also question the fairness of any "transfer pricing" arrangements that have internally been agreed between QF and JQ to determine QF International's standalone profitability. Most corporates have their own peculiar ways of dealing with this and it is quite easy to skew the results to a particular outcome. It seems to me to be fair, JQ benefits from its relationship with its parent company QF (e.g. Corporate overheads, reputation, cost of funds, oil purchases, aircraft purchases and leasing arrangements, credit rating etc.) and for this JQ should pay a substantial periodic compensation to QF which should be taken into consideration in calculating QF's standalone profitability. QF is perhaps still relying heavily on its legacy position, off a base of ten years without domestic premium competition (to January 2012) and still being seen as the "Australian" airline. Meanwhile, Joyce et al can continue to spoon feed the JQ baby. In reality VA has a better value proposition for domestic travel and award burn for frequent travellers. On the international front, you could argue QF international has been allowed to slip so far down that it is largely a house of cards shielded by reliance on extensive partner networks and the pervasiveness of its FF scheme. In reality, other airlines have much to offer as an international alternative - in some cases high quality (CX, SQ, etc) and in others, excellent value (MH, etc). Other FF schemes have potential to offer much better value (obviously this is partly dependent on the individual spend and travel pattern): AAdvantage for OneWorld travellers generally, Avianca LifeMiles for Star Alliance, and those who don't charge fuel surcharges, etc., etc. Coincidentally, just saw advertised online - love the "cost transformation environment"! Qantas the Head of Strategy - International Customer Experience...developing the strategies required to transform the end to end International customer experience, with a focus on delivering a premium travel experience within a cost transformation environment. You will work within a talented team to develop business, product and service strategies; driving innovation through concept, design, testing and implementation. 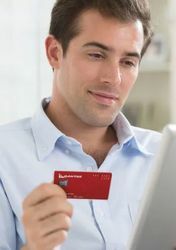 These strategies will inform all areas of our customer experience including online, booking, airport, lounge, inflight. 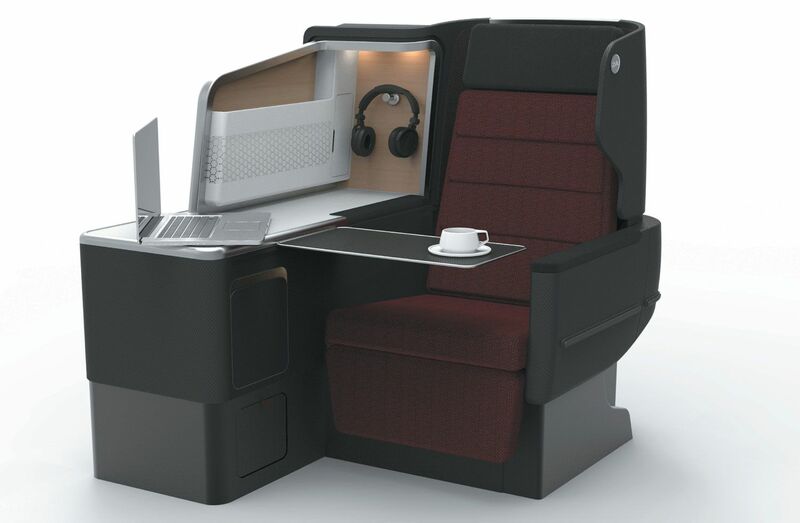 I would hope so, I love CXs Y+ cabin when travelling around asia, if Qantas could match it while flying direct they would have my dollar back. Only problem I see with this is that adding a PE cabin to something below 747/A380 size will result in having not enough room in business or economy. I think the market for PE on 8/9 hour trips wont be enough to justify creating another cabin. If there were PE, the cabin would only be 2/3 rows. Adding the extra bulkhead needed to separate PE and economy will probably mean that Qantas will lose an extra row of economy. CX have added Y+ to their A330's without experiencing loss of extra seat space, except for the Y+ area, in their increasing A330 fleet. I'm sure QF could follow CX's lead. Agreed, CX have at least 3 flights daily from Melbourne with Y+ on their A330's. Not sure what the loads are like though. I have a real soft spot for QANTAS and Y+ fits in with my budget for business and holiday travel which is mainly Asia. CX have the market cornered out of Melbourne for Y+ to Asia. Mind you on a recent return to Singapore on QF A330 it was full both ways in both cabins, surely they could do a 747 with Y+ MEL-SIN until the new 787-9 arrives at least a few times a week. That would be nice !!!!!!! Quant as if you would of just ordered the 777 we could fly to,Dallas and back direct easily even with a full flight and baggage hold! Stupid stupid stupid quant as Virgin did they were smart so smart virgin can fly so many routes that quant as can't do direct! And why would the economics of buying one airframe type for one route be beneficial? QF do just well using the 744ER to DFW apparently. The 330 fits to Asia and the A380 happily fits LAX and LHR. Sorry,cdinoz I made 2 typos I am actually a regular on this site I check it out every day and sometimes I us my iPad mini so,it is hard to not make typos. Comment on "Qantas sets its sights on Boeing 787-9 Dreamliner"